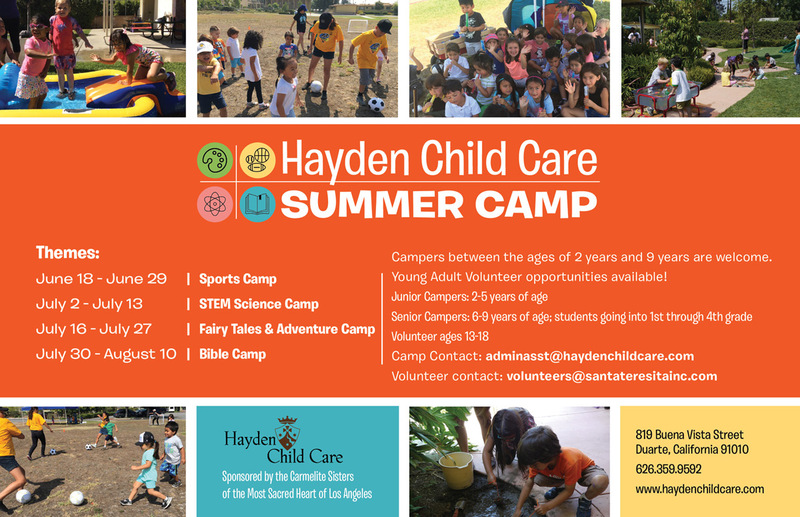 Hayden Child Care Center offers a choice of several two-week summer camp programs from June through August. Children, ages 2 through 9 years, are eligible for enrollment in our summer camp programs..
Each session will end with an Open House where the children will share their new skills with their parents! Sessions include academic reviews, too!